One of several sacred texts that form the scriptures of the Way. 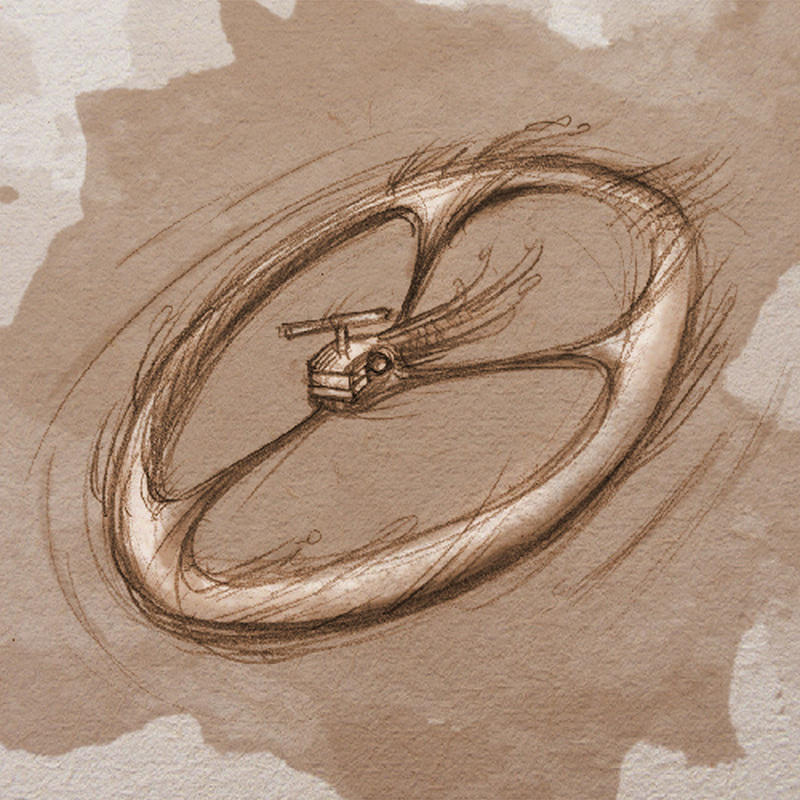 A teardrop shaped Foundry aircraft with a powerful rotor embedded in its body. 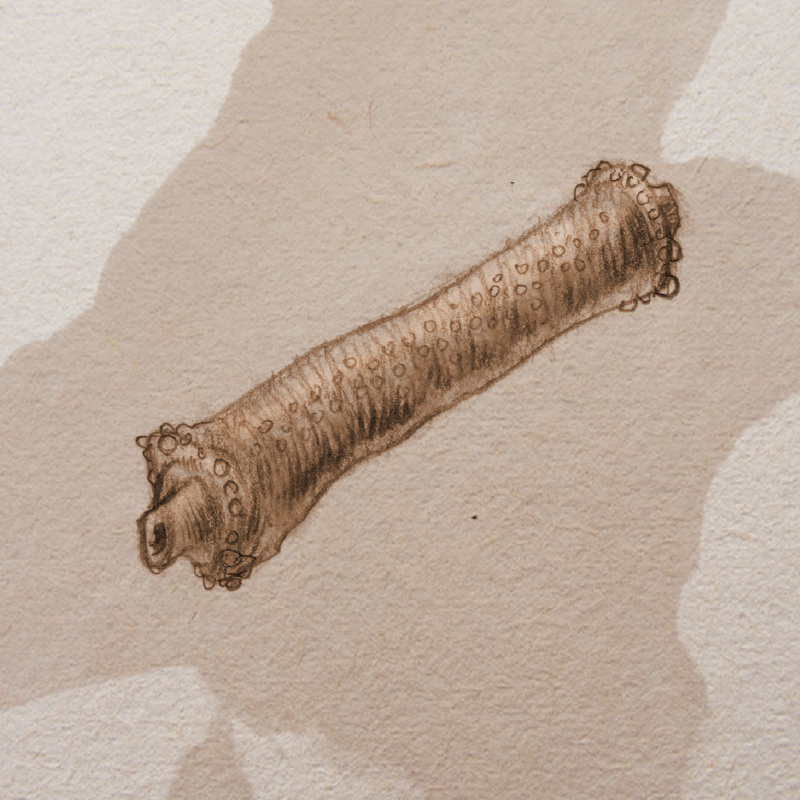 The military versions have manned cannons at the end of extendable, articulated arms. One of the oldest mehkan cities, considered sacred by the Waybound. A secretive mehkan species with a sinister reputation as hired assassins. The Aios are distinguished by the black, membranous folds of their bodies, which obscure their features. A broad body of water surrounded by the semicircular coast of Albright City. Location of the island of Foundry Central. Capital of the nation of Meridian, Albright City is the wealthiest and most resplendent metropolis in the world. (1597-1646) Creator of the Foundry, and widely considered the father of the modern age. Centuries ago, he was the owner of a struggling mining company, when he stumbled upon the portal that leads to Mehk. He kept this discovery a secret and transformed his company into the Foundry, using it to reap tremendous profit and usher in a new era of technology. An isolated, idyllic community of cave-dwelling mehkans. Exclusive title for a mehkan high priestess of the Way. A vast mehkan geological formation of stair-step ravines and natural land bridges, carved by the elements over the millennia. A common Foundry-made land vehicle with thousands of different models. A mehkan priestess of the Way. A nation of the human world, known for its uninhabitable deserts and sweltering heat. A boisterous mehkan species with a highly developed sense of smell. Balvoors are known for their expressive emotions and colorful way of life. Their talent for languages makes them uniquely suited as diplomats and politicians. Holy mehkan vestments worn by the ancient Waybound. The mehkan term for a human. A state-of-the-art Foundry missile that scrambles radar detection and delivers tremendous destructive power via proprietary Pinwheel thrusters. Mehkan term for human language. The ultimate authority within the Foundry, elite and anonymous overseers known only by their voices. A decorative breed of mehkan songbird, identified by the ring shape its body takes during flight. Motorized handcart used for the easy transport, loading, and unloading of goods. 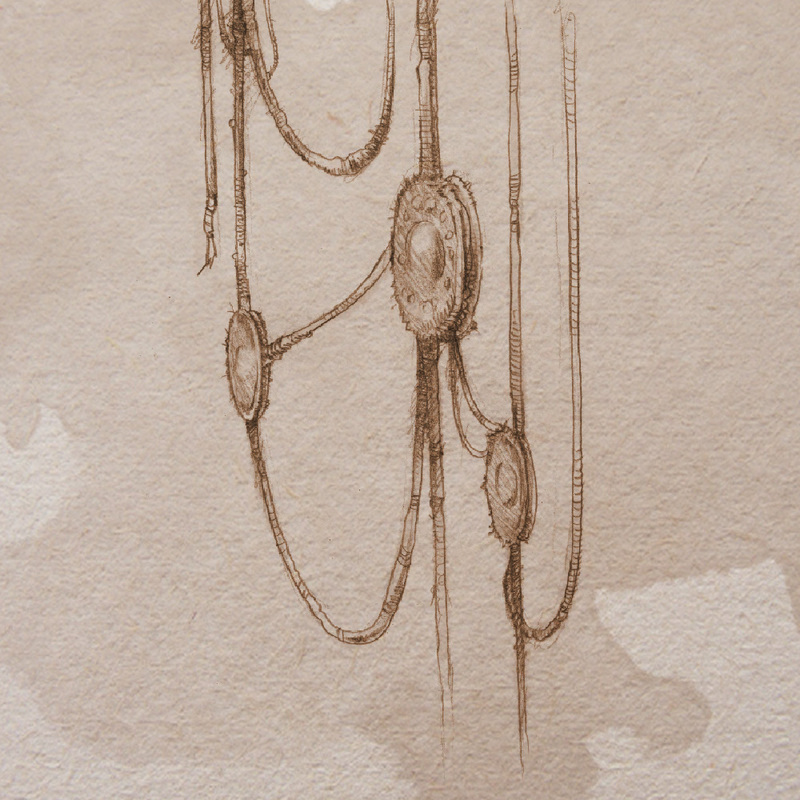 A savannah-like region of Mehk that features long, rapier-like blades of brass. A term used by the Way to refer to individuals that Makina created with handicaps or deformities as a punishment for sins committed in past lives. A mehkan fungus that is poisonous if eaten raw. Sturdy land vehicle made by the Foundry with distinctive tank tread wheels and a segmented cargo bed. An enormous Foundry train, approximately four stories tall, that is the primary means of shipping materials to and from Mehk. A Foundry-made closet appliance that displays clothing on an automated moving track. A Foundry gadget that calculates the user’s exact position based on a reading of the stars. A Foundry-made chemical weapon that dissolves metal, invented specifically to assault Mehk. 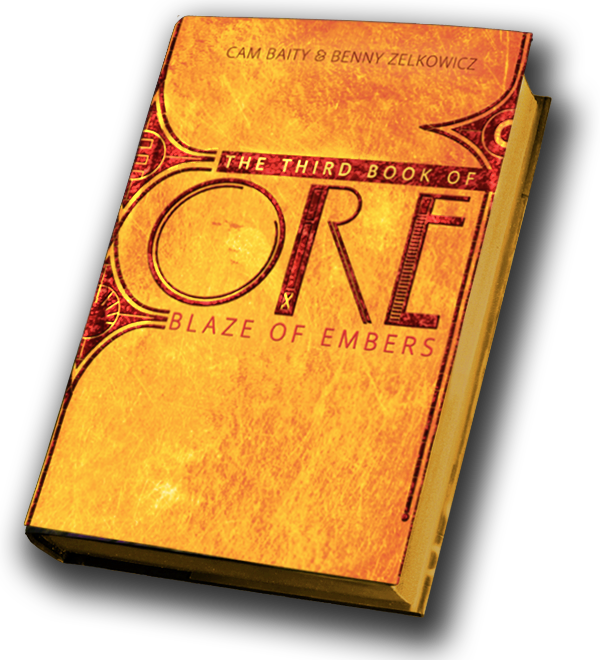 The Foundry has banned the use of CHAR due to its permanent and cumulative corrosive effects. A mehkan unit of time, roughly equivalent to an hour. A spherical mehkan critter of interwoven plates and gears, known to be nearly indestructible. A natural mehkan maze formed by tectonic pressure that forced rippled sheets of ore to the surface. 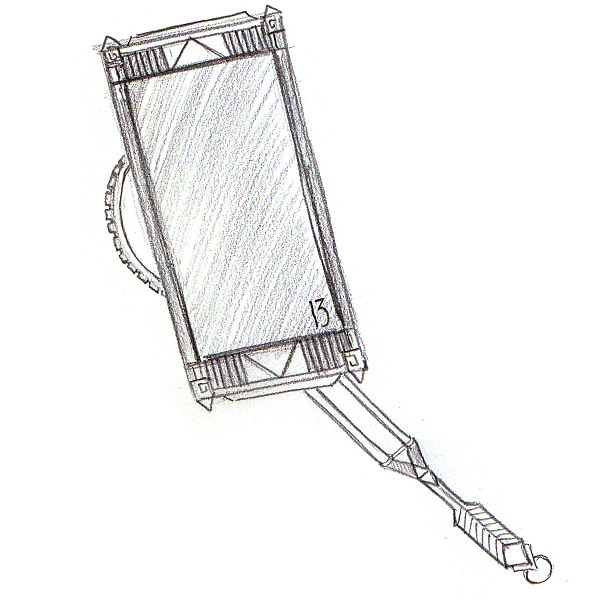 A small, versatile communications device made by the Foundry. 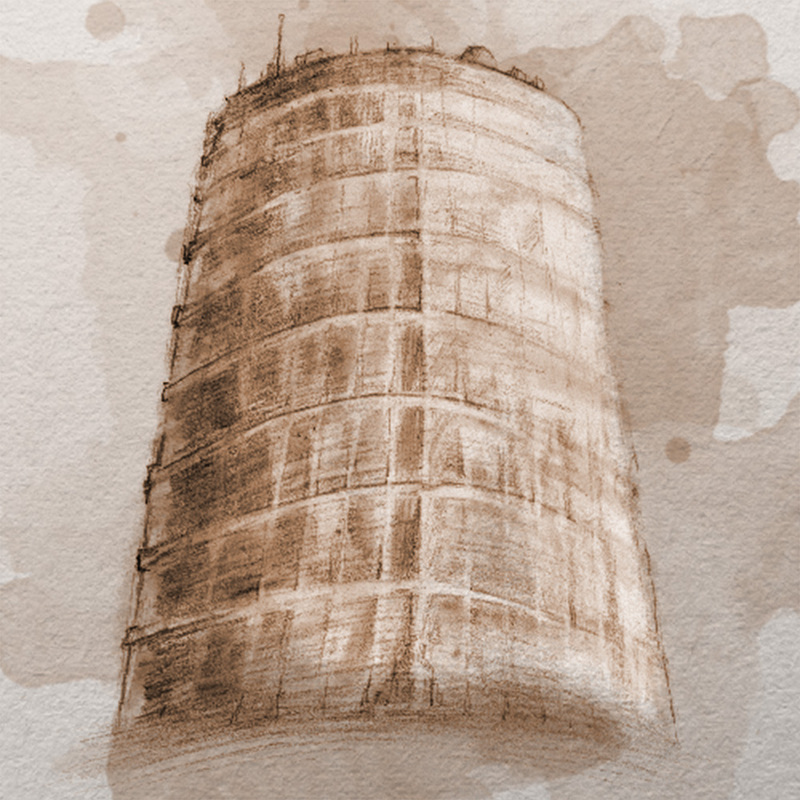 A massive tower in the Depot that serves as the new center of operations for the Foundry in Mehk. Secret rebel army of the Way, an underground network of mehkan freedom fighters sworn to defend their world from the Foundry. The towering, sculpted arch in the shape of a sunburst that looms over the bridge leading to Foundry Central. A depiction of this landmark serves as the company’s logo. A mehkan unit of time, roughly equivalent to a day. Sleek Foundry racing vehicle with a flexible body atop a row of sharp wheels, used in Mehk to navigate difficult terrain. The Foundry’s central transportation hub in Mehk, located at the mouth of the tunnel that leads back to Albright City. High-caliber, mounted versions of the Dervish rifle. A Foundry gadget that simplifies the cleaning of dirty kitchenware. 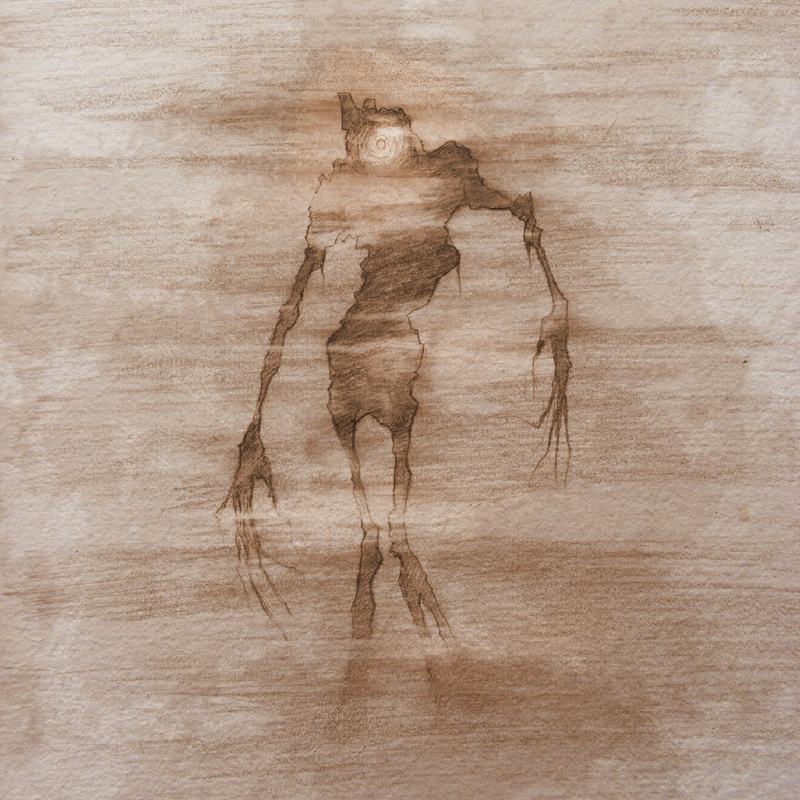 A solitary mehkan predator recognizable by its eerie, creaking call. Mehkan slang for cranium or head. Flat stingray-like vermin that populates the canyons of Mehk. A Foundry-made machine for washing clothes. A top-secret Foundry project focused on creating a human-mehkan hybrid. Kaspar is the sole surviving experimental test subject. Symbol of the Way, a circle bisected by a jagged line like the teeth of a gear. Foundry waste disposal unit, consisting of a polished chrome shell and a powerful built-in trash compactor. Heavy-duty construction equipment made by the Foundry, used to fracture bedrock, especially for building skyscrapers. A wild mehkan province on the eastern continent that remains undeveloped by the Foundry. It is said to be home to many species of mehkan that are otherwise considered extinct. A prominent mehkan river with many tributaries. A brusque mehkan species that typically dwells in arctic regions, recognizable by their stout, tripod legs and their dense, bristle-haired carapaces. A brand of sugary, carbonated beverage that is popular in Meridian, available in a variety of flavors. 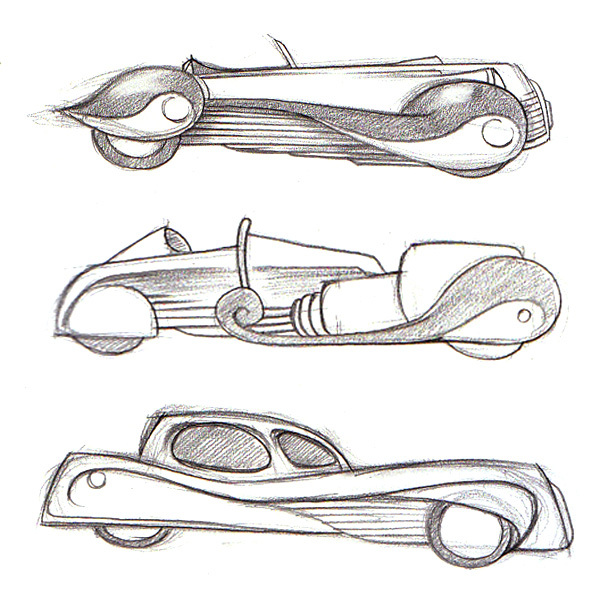 An expensive, high-performance model of sports Auto-mobile manufactured by the Foundry. Foundry-made fan built to resemble a spinning chrome snowflake. A toxic liquid metal that makes up mehkan oceans. In its solid state, flux falls from the clouds as bullet rain. 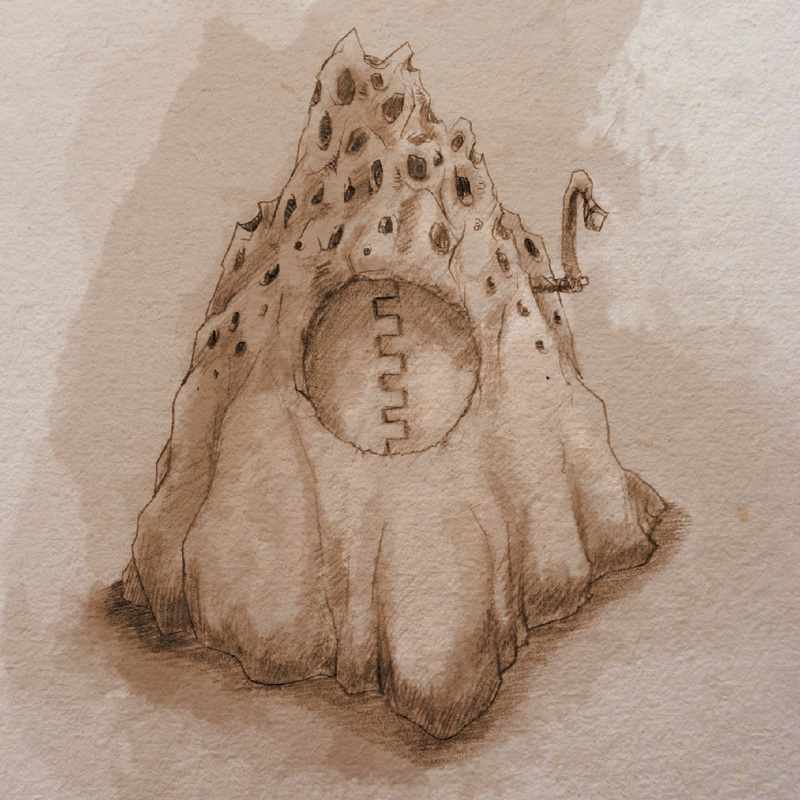 A foraging mehkan creature that hides and stores caches of food. A portable Foundry-made camera with many models. An extensive complex located on an island in Albright Bay, home to the Foundry’s primary research, manufacturing, and distribution hubs. High-caliber Foundry artillery with destructive ammunition that generates a large amount of shrapnel. A physically ponderous mehkan species that has a talent for commerce and trade. Their hunchbacks are fertile biomes used to grow a staggering variety of goods, from which they always seek to profit. 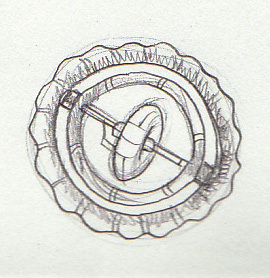 A Foundry trinket that functions both as a yo-yo and a frozen yogurt dispenser. Mehkans who adhere to the Way believe this to be their spiritual purpose in life, a unique reason for every individual’s existence that, if discovered and pursued, will lead to enlightenment. Mehkan term for midday, when the ring of rising suns coalesces in a singular zenith. Foundry-made high-speed aircraft, used primarily for commercial travel. A decorative breed of mehkan songbird. 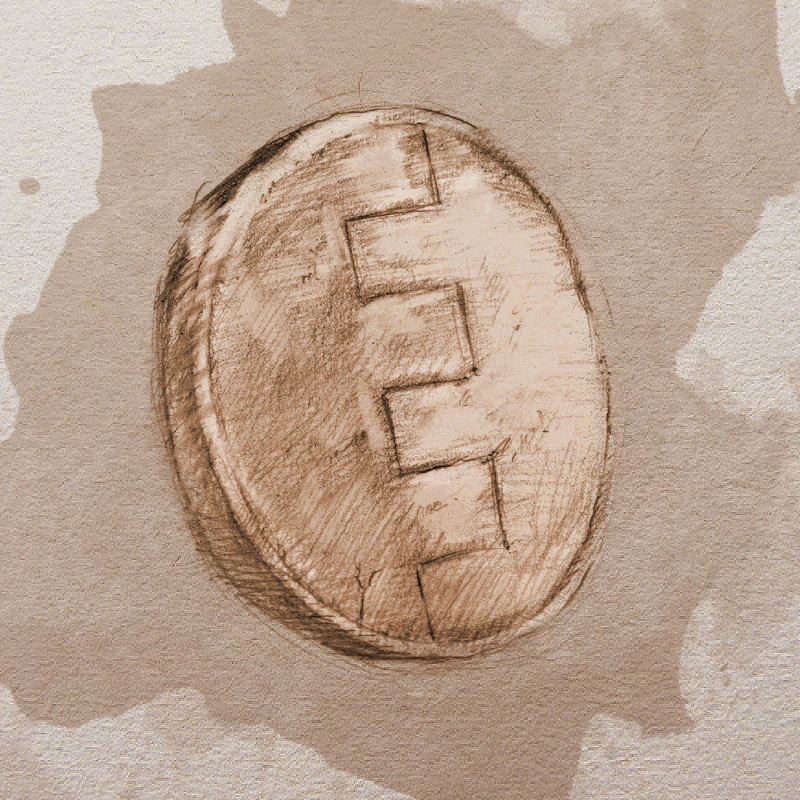 Mehkan currency of metallic rings. The worth of individual units, or “tinklets,” is indicated by the size and color of the ring. A term used in the Way, referring to the aspect of Makina’s plan that influences the lives of all sentient beings and how they impact one another. A Foundry mining machine used for boring tunnels. A physically imposing mehkan species with crane-claw hands that honors warriors above all else. Known for their brute strength. A Foundry armored vehicle, identifiable by its arsenal of eight artillery batteries mounted on adjustable, tiered platforms. Term for the Foundry's medical staff, based on their green uniforms. Derogatory slang for the inhabitants of Greinadoren. Foundry stealth airplanes powered by whisper-quiet engines. 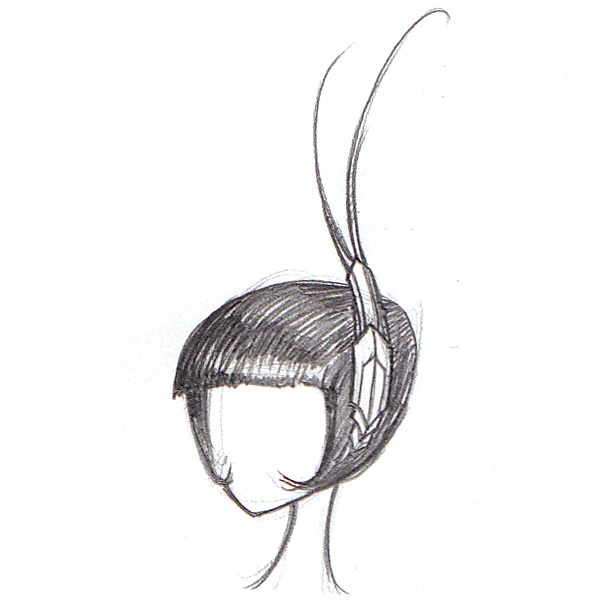 A kinetic Foundry bauble that is worn in the hair. A Foundry product used for creating hair styles. A secretive method of communication used by the Covenant, in which remote individuals can speak and be seen through surfaces of specialized molten metal. A rare and reviled mehkan species that is said to have been bred as slaves for the ancient megalarchs. These amphibious monstrosities are cruel and fearsome, almost never seen outside the lagoons of dead lands. A gentle race of mehkans that can eject a self-propelled liquid metal, which acts as a remote sensory organ. This ability makes them experts of surveillance. A sturdy mehkan ivy that functions like an organic block-and-tackle pulley system, used in lifts and elevators. Candy that transforms from syrup to gum as it is chewed. A temple of the Way. A lush and expansive region of Mehk known for its staggering biodiversity. The viscous, dark brown life essence of many mehkans. Albright City’s luxury shopping district. A trained, nocturnal mehkan beast, known for its aggression if roused from sleep. The craggy western shoreline of the Mirroring Sea in Mehk. An automated grass-trimming device made by the Foundry. 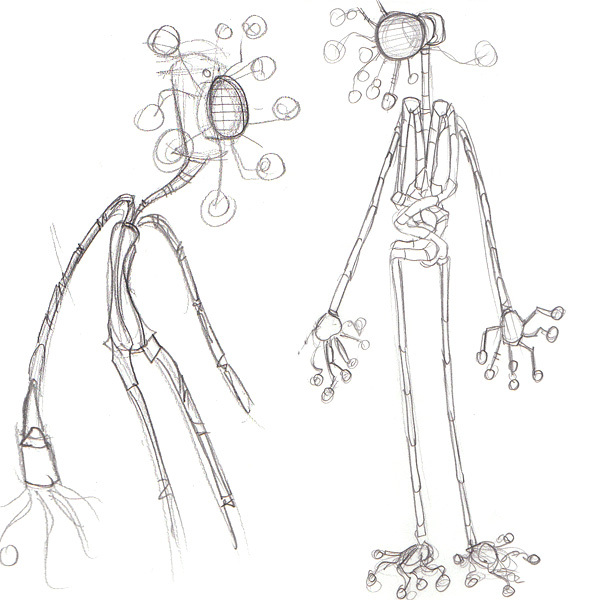 A populous species of mehkan that commonly works as drones and laborers, often considered second-class citizens. Oceanic mehkan critters with tubular shells that emit jets of pressure for locomotion. A harsh and solitary mehkan species, whose bodies are precise instruments of measurement, allowing them near-psychic mathematical insight. They are averse to emotion, which can inhibit their ability to measure, thereby putting them at risk of physical harm. A popular series of Foundry-made massage devices. 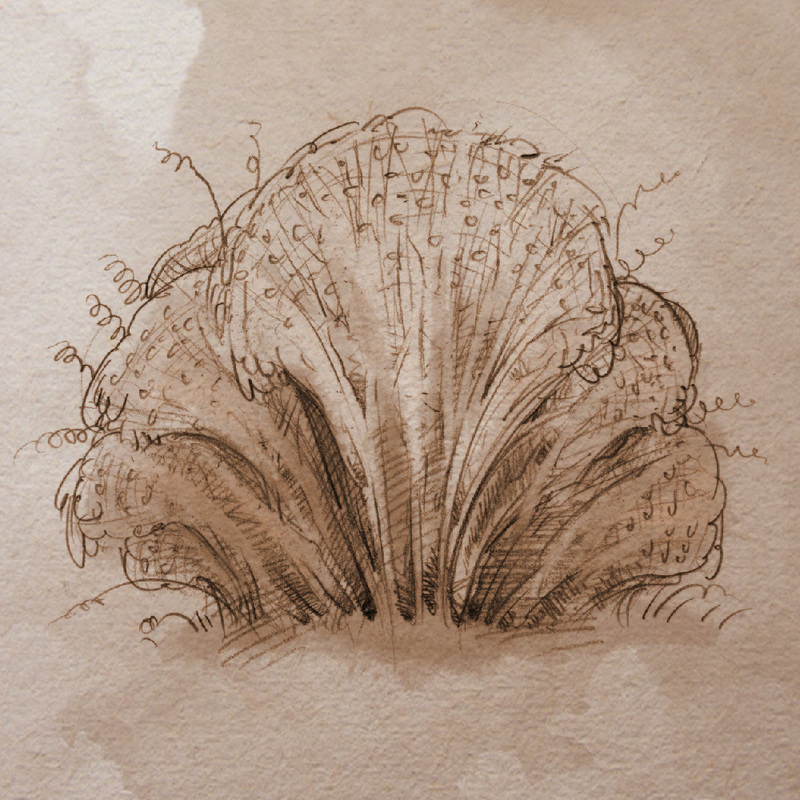 Clam-like mehkan vegetation that snaps closed if threatened. 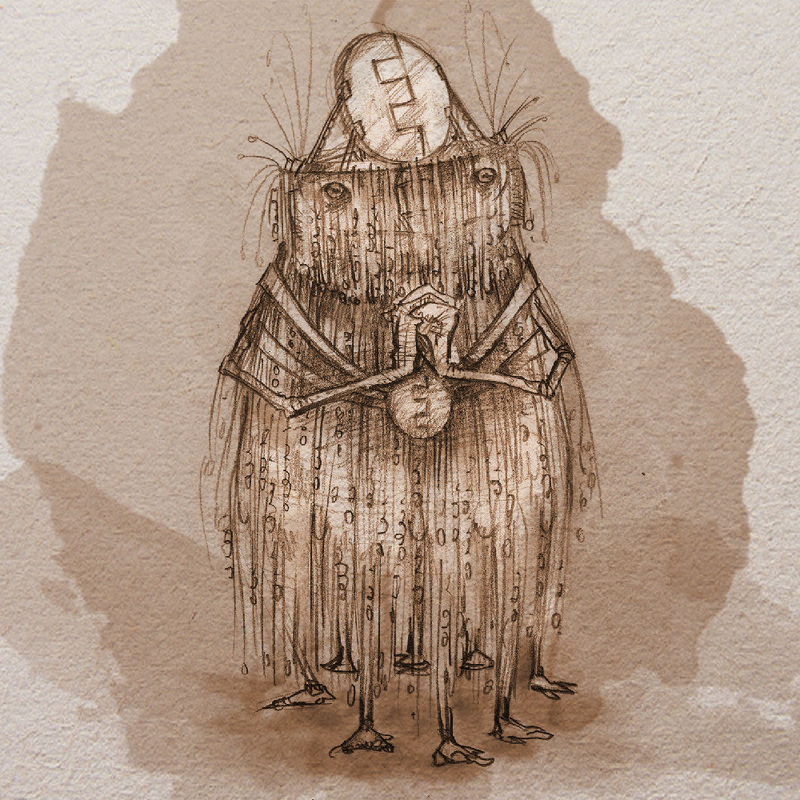 A small oceanic mehkan scavenger known for its impervious grip when it clings to surfaces. A common, hard-shelled mehkan foodstuff. The military special forces of Greinadoren. A peaceful mehkan species with a nomadic tribal culture. Frilly mehkan vegetation used for decoration and tribute. The larger, western mehkan continent and its various principalities. The latest in Foundry military technology, large-scale artillery capable of firing up to six thousand rounds per second. 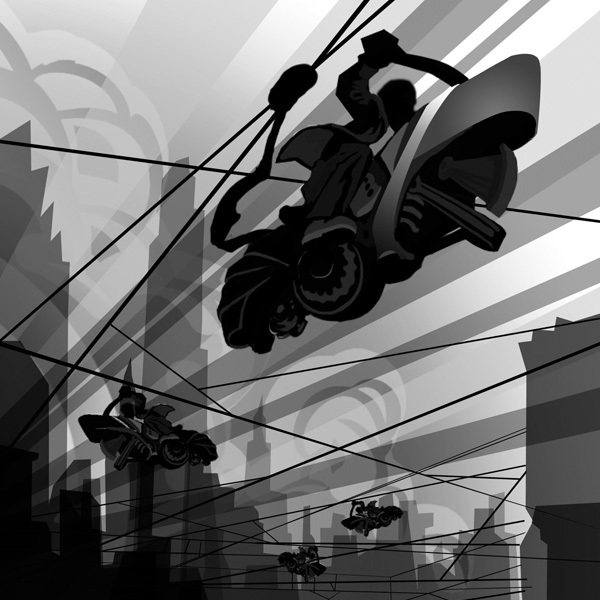 The Cable Bike transportation system, a network of crisscrossed wires suspended above Albright City. Vehicles hang beneath the lines and travel along them like roads. 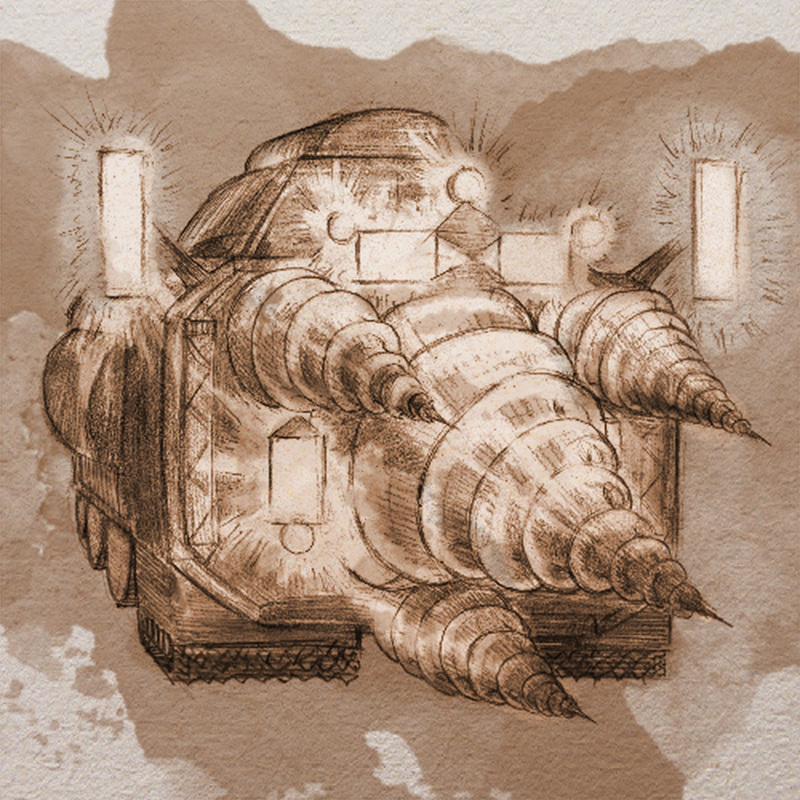 Giant mehkan beasts with segmented shells and tank tread feet. 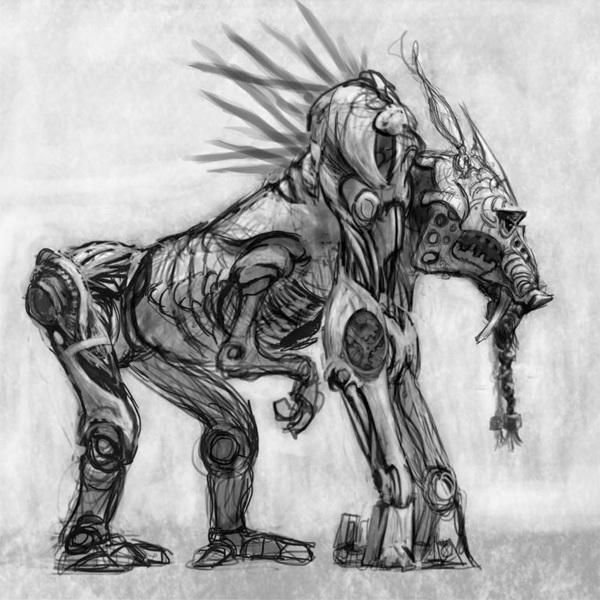 They live in herds and are routinely hunted by the Foundry. 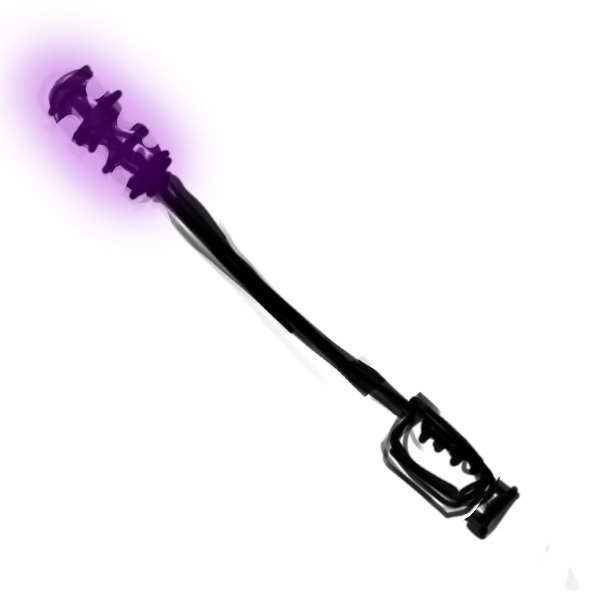 Non-lethal Foundry weapon, a baton topped by a powerful magnetic coil that can repel and attract. An advanced race of mehkans who have bodies of prehensile tubing and communicate using a visual language of light. Their insular culture is renowned for discoveries in science and engineering and has a reputation for arrogance. Popular Televiewer show about a heroic soldier from Meridian. "No guts, no glory” is the title character's catchphrase. 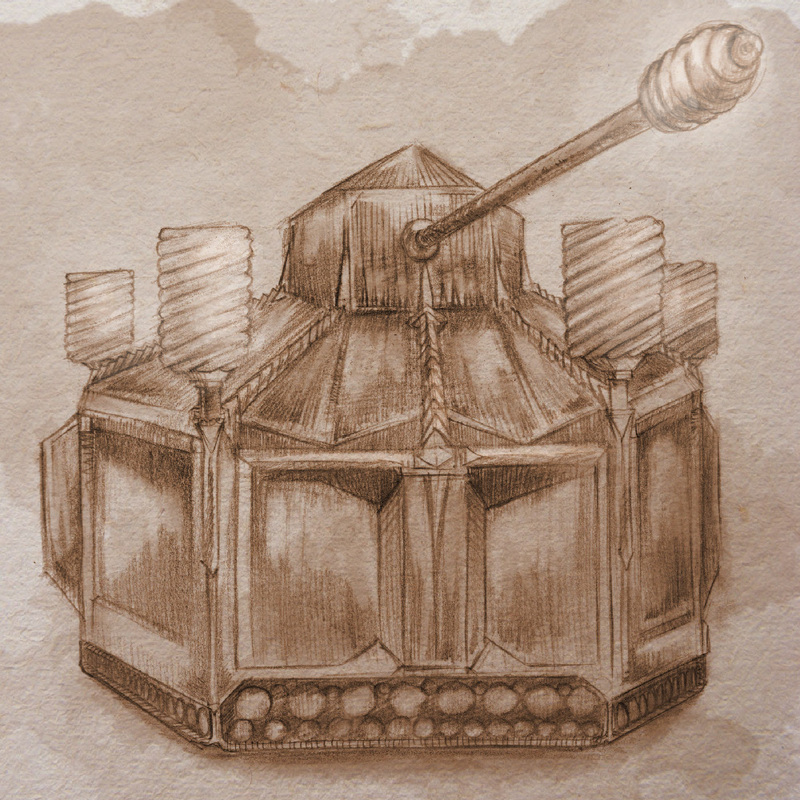 A Foundry military vehicle with a coil tipped cannon capable of producing a powerful magnetic blast. A mehkan god worshipped by the Waybound, believed to have created the universe and said to have abandoned Mehk because Her followers strayed from the righteous path. Title for ancient mehkan emperors. A massive, Foundry-made ocean vessel used for transporting large amounts of goods. 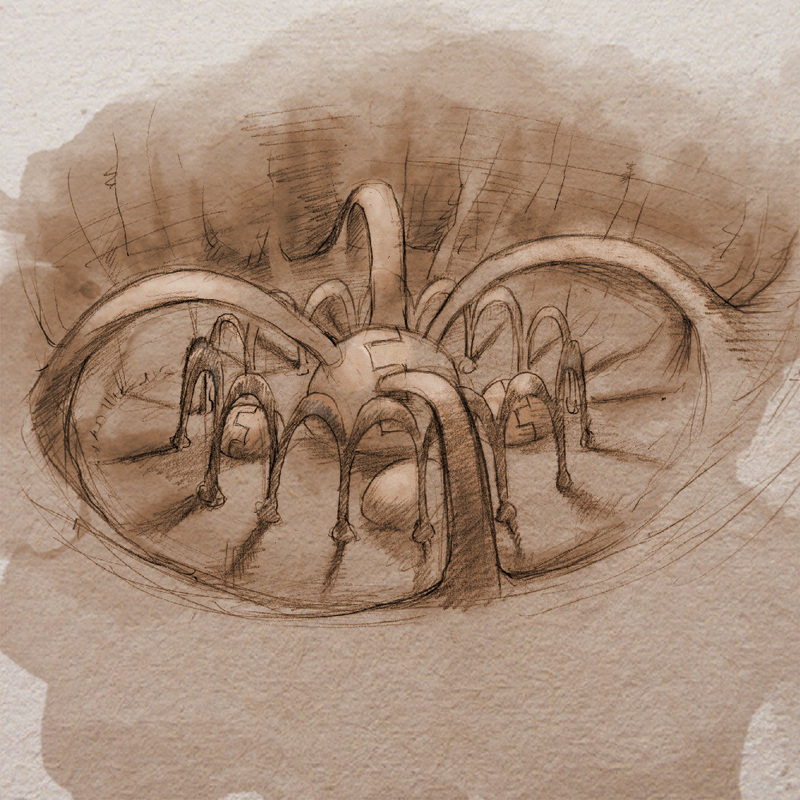 A mysterious realm of living metal and organic machines. 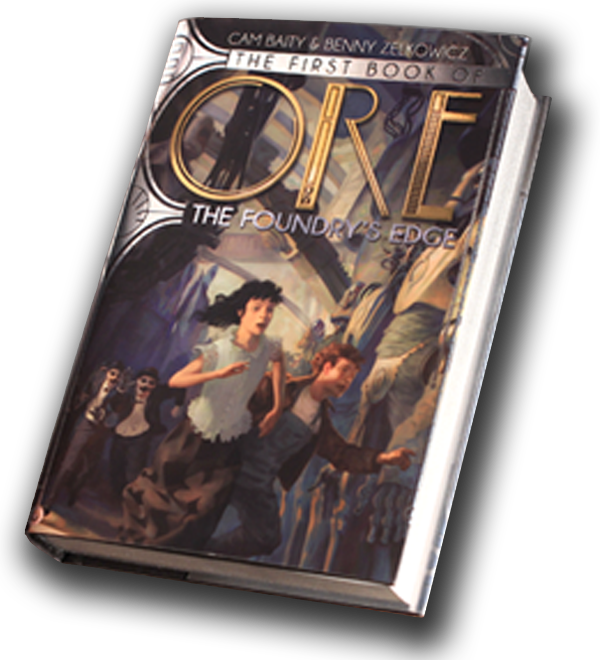 It is connected to our world by an underground portal, which is hidden and controlled by the Foundry. Term for all the creatures of Mehk, both sentient and non-sentient. A portable calculation device made by the Foundry. A versatile Foundry vehicle with the capabilities of a forklift. A third-world nation of the human world, active member of the Quorum. A Foundry-made ground vehicle with many models. A long Foundry vehicle made of interconnecting cabs, used for moving and loading large amounts of cargo. A Foundry-made survival knife with a versatile blade that can transform into multiple practical tools with the turn of a dial. A Foundry device for playing recorded music. 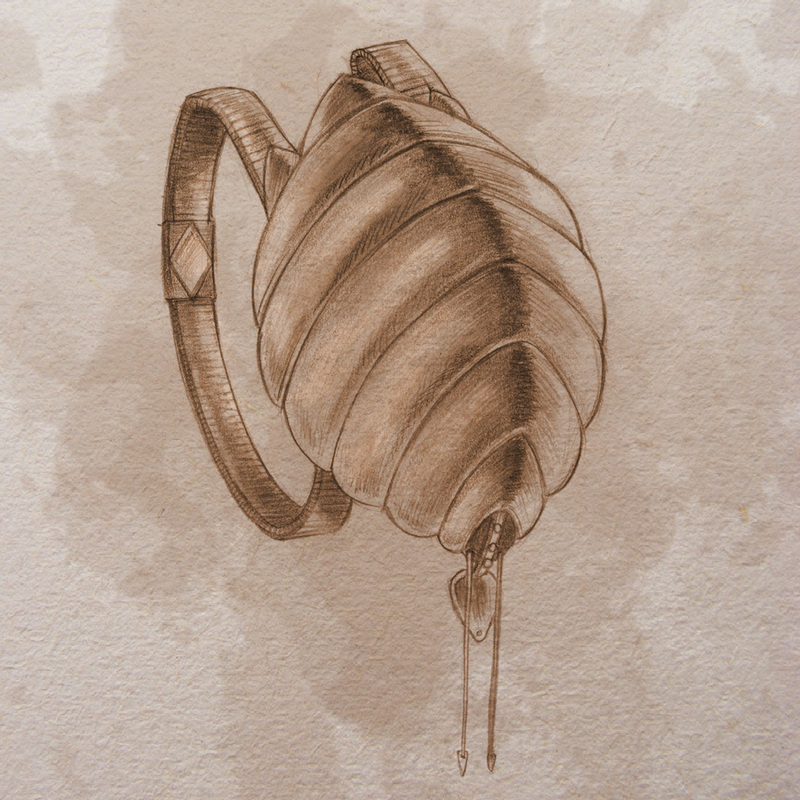 a mehkan syringe device used to undo a bond knurler lock by injecting food into the creature, thereby releasing its grip. 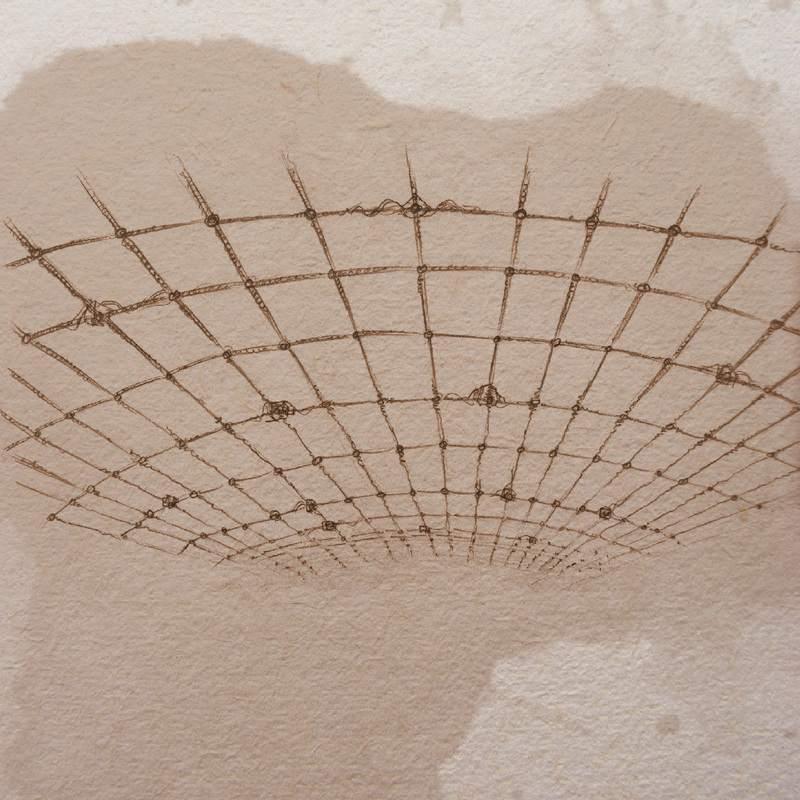 A lattice of magnetic cables and tubes suspended over the Depot to prevent aerial attacks. Remotely operated flying cameras used exclusively by the news media. A mehkan ore quarry on the eastern continent, now under the control of the Foundry. Rural town in the state of Sodowa where Micah was born. 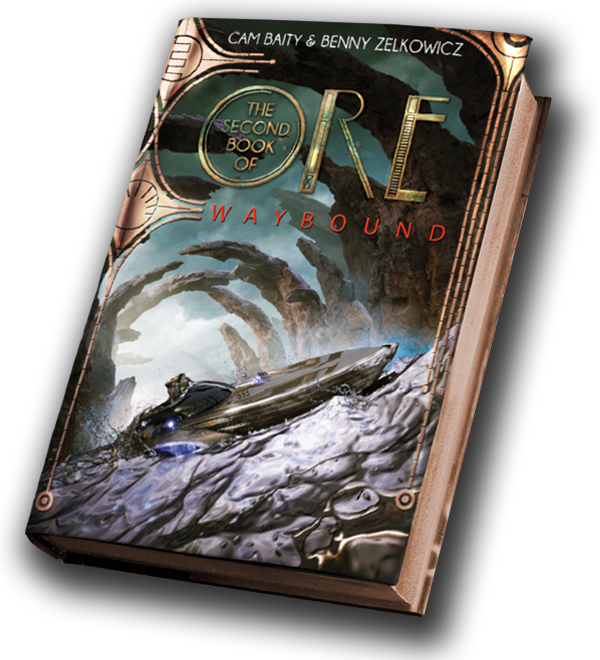 An opulent and isolated community where Foundry employees who were stationed in Mehk retire. Though they live their remaining years in luxury, communication with the outside world is strictly prohibited to protect company secrets. A Foundry surveillance camera equipped with interchangeable lenses and diopters. An especially bitter type of mehkan fruit that grows in the Chokarai. The primal mehkan substance that all living metal comes from. It is thought by the Waybound to originate from the physical body of Makina. Large-scale construction equipment made by the Foundry, used for lifting and lowering heavy materials. Medication for managing motion sickness and nausea. A mehkan unit of measuring time, roughly equivalent to a year. Small mehkan critters that burrow into surfaces and pucker to take in air. 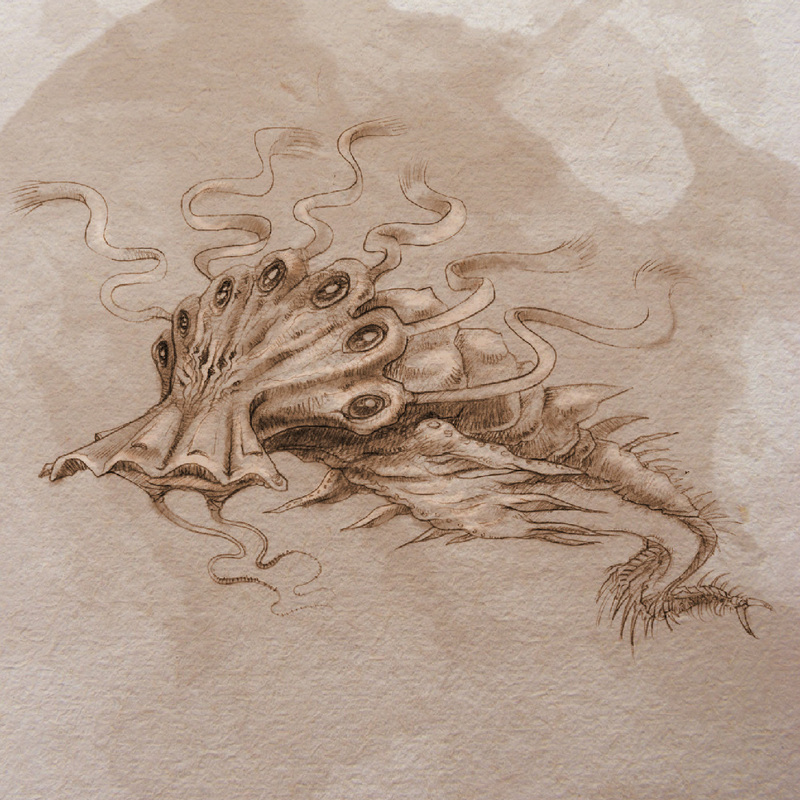 An amoebic creature that subsists on the coral-like vegetation of mehkan mountain ranges. Automated toilet plunger manufactured by the Foundry. A mythical era the Waybound consider the beginning of time. 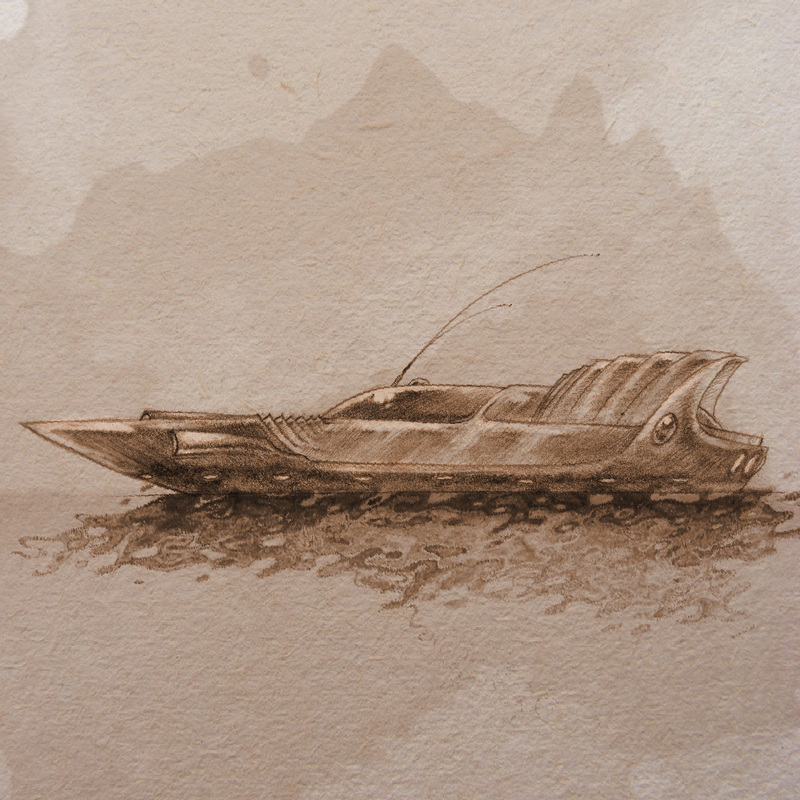 A species of oceanic mehkan predator, known for its speed and efficiency. A mehkan unit of measurement, roughly equivalent to two meters. An alliance among several nations of the human world that feel threatened by Meridian’s supremacy and vehemently oppose its trade policies. An extraordinarily powerful and efficient electricity source built by the Foundry, discontinued because of high manufacturing costs. A common mehkan weed that is highly reflective, though it degrades rapidly when trimmed or plucked. The most common language in Mehk. Common fighter jets used by the Meridian Air Force. A mehkan astronomical event involving swirls of colored starlight. This spectacle has religious significance to the Waybound. A foraging mehkan land creature. An innovative structure in central Vellaroux that provides hydroelectric power for more than half of Trelaine. Colloquial term for a slimy mehkan critter that feeds on rust. A mehkan ailment caused by the consumption of water. Funeral ceremony for the Waybound. A carnivorous mehkan plant that uses acid to kill its prey. All of Makina’s creation, the entirety of the universe, according to the Waybound. A peaceable, sentient mehkan species that is subterranean and massive in size, used by the Covenant as a secretive method of travel. 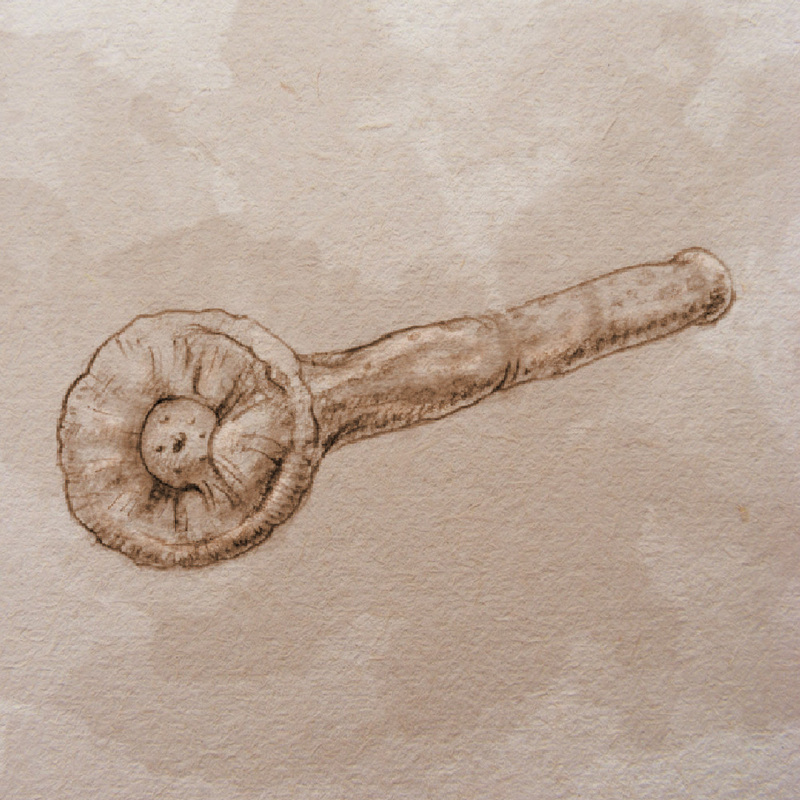 A mehkan device shaped like a spike that emits a signal when planted in the ground in order to summon a nearby salathyl. Fashionable Foundry-made shoes with adjustable high heels. 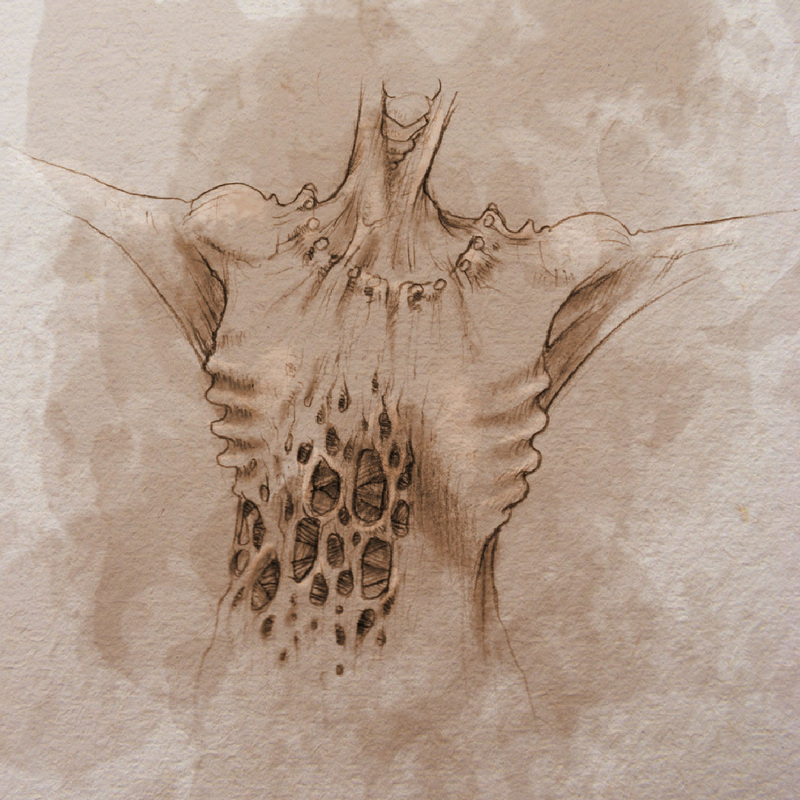 A mehkan parasite that burrows into living flesh. A gigantic species of mehkan vegetation, cultivated as living architecture in major cities. X-shaped Foundry drones used for surveillance in the military and private sectors. The afterlife, according to the Way. 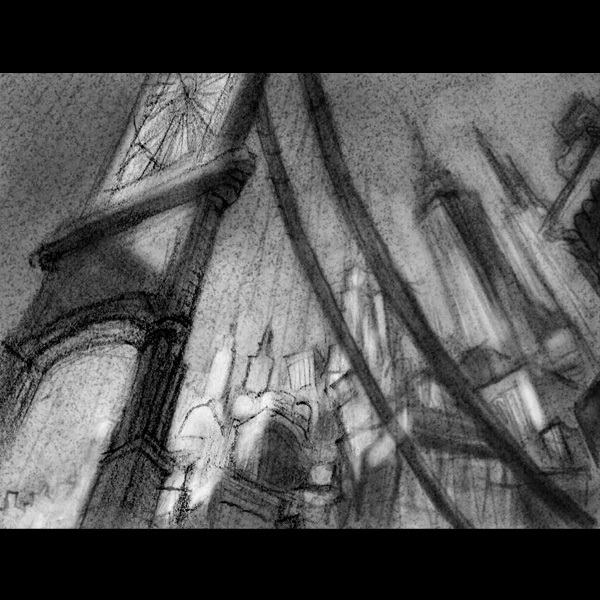 It is a physical place in Mehk, a wall of dense, obscuring fog where Makina is said to reside and judge the embers of the dead. It remains unexplored by both humans and mehkans. A mehkan region of barren plains that conduct heat in such a way as to be impassable during the day. A luxurious metal fabric made by the Foundry that is supple and delicate. Colloquial term for flying mehkan pests that annoy with a heated element instead of a stinger. An automated Foundry-made vacuum cleaner. A mehkan gambling game. Players assemble a set of curved rods marked with symbols into a formation that rearranges itself as new rods are added. A model of toy gun, made by the Foundry. A rural state in the human nation of Meridian, known for farming. A mehkan scavenger that lives in social packs. Though they have vicious grinder mouths for devouring carrion, their playful temperaments make them benign. A Foundry brand of permanent cement. A trendy Foundry accessory with a motorized twirling capability. A popular game made by the Foundry consisting of an erratically bouncing gyroscope that is passed between players. A brilliant, extraordinarily reflective mehkan material, so rare it is thought to no longer exist. It was once used to create religious artifacts for the Way. A river-dwelling mehkan species with long legs and a flowing, netlike body, considered by many to be provincial and dim-witted. Bulbous mehkan vegetation with branching tendrils, capable of growing to tremendous size. An ancient mehkan tribe of nomadic marauders. A flexible flat screen with a metal frame, made by the Foundry and used for watching recorded and broadcast entertainment. Temporary lodging made from jungle foliage. A sophisticated, highly empathetic race of mehkans who prize artistic expression above all else. By touching their hands to the moving, helical bands that surround their sprocketed bodies, thiaphysi can create both speech and music. A mehkan unit of measuring time, roughly equivalent to a minute. A multi-level Foundry land vehicle used for moving cargo. Giant military automaton made by the Foundry with advanced intelligence and powerful cannons. A small Foundry-made convection oven, capable of rapidly cooking food. Colloquial term for a carnivorous mehkan plant with flowers that burst into flame when their stamens are touched. Slang for a person from Trelaine. Proud human nation that is a founding member of the Quorum and has been in protracted peace talks with Meridian for years. A herd mehkan with one jointless leg in front and back, able to curl its body into a wheel shape for locomotion. 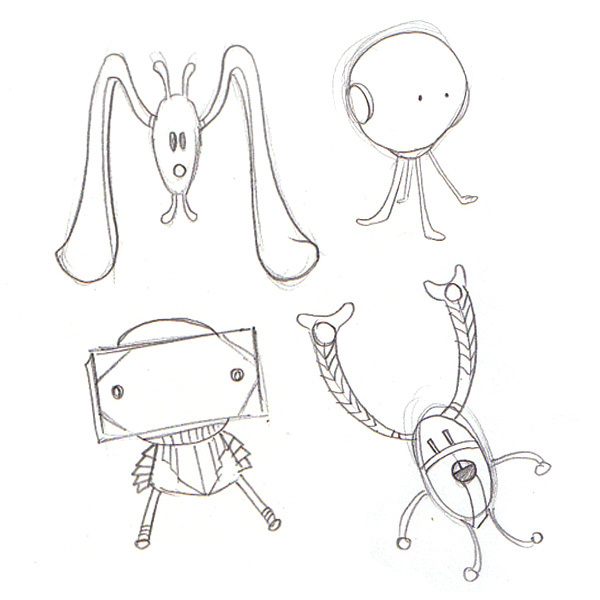 A trendy line of Foundry jewelry that doubles as mechanical pets, popular among young girls. A Foundry-made global tracking device used for surveillance. 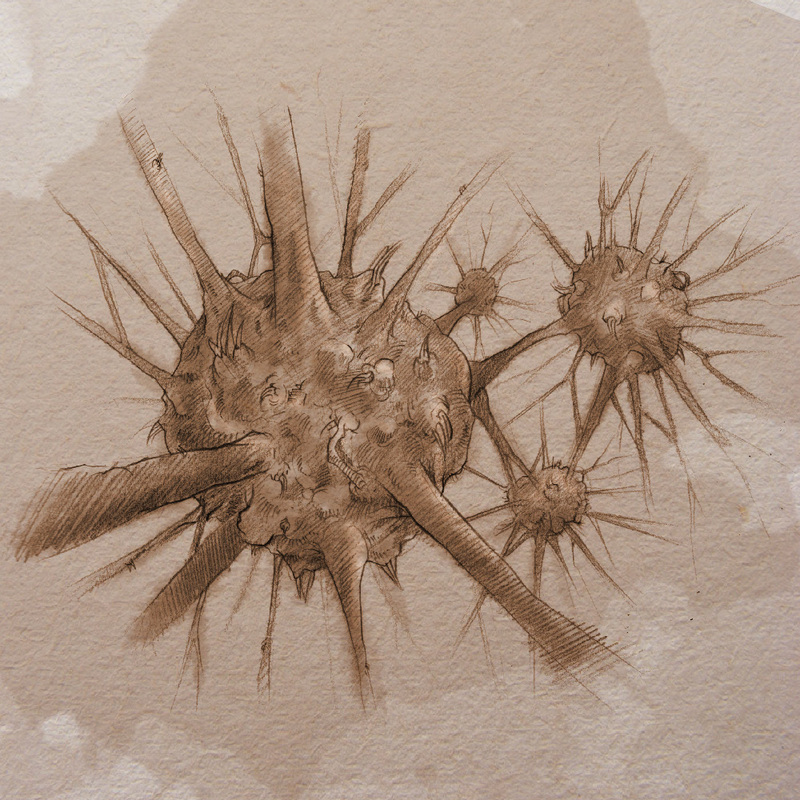 An edible mehkan fungus that commonly grows in swamps. A mythical cult of ancient mehkans, rumored to have conducted unspeakable rituals to resurrect the dead. It is said their spirits were cursed to wander for eternity like ravenous ghosts, devouring life to feed their empty souls. A fearsome mehkan predator that hunts in packs. 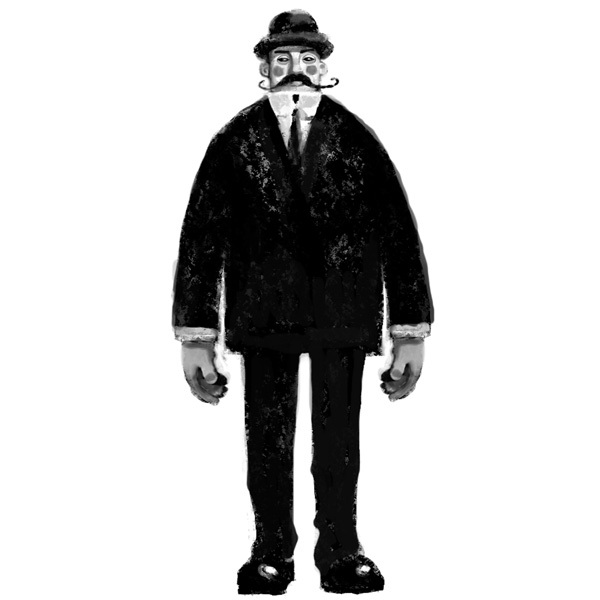 A Foundry surveillance automaton with powerful olfactory sensors, highly adept at tracking. 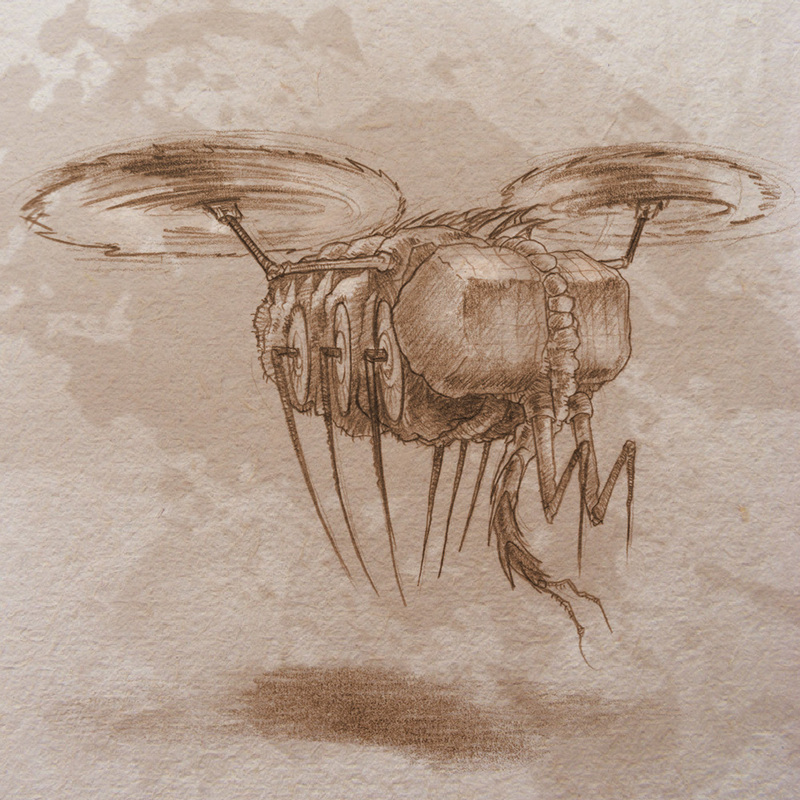 A flying mehkan predator that snares its prey with musical tripwire. A large river-dwelling mehkan beast, sometimes tamed to be used for transportation. This creature has rotating fantail and feathery appendages that allow it to travel on the surface of vesper. A massive rift in the western continent of Mehk. The Foundry has a project underway to build a bridge across the gap, allowing them unfettered access to the regions beyond. 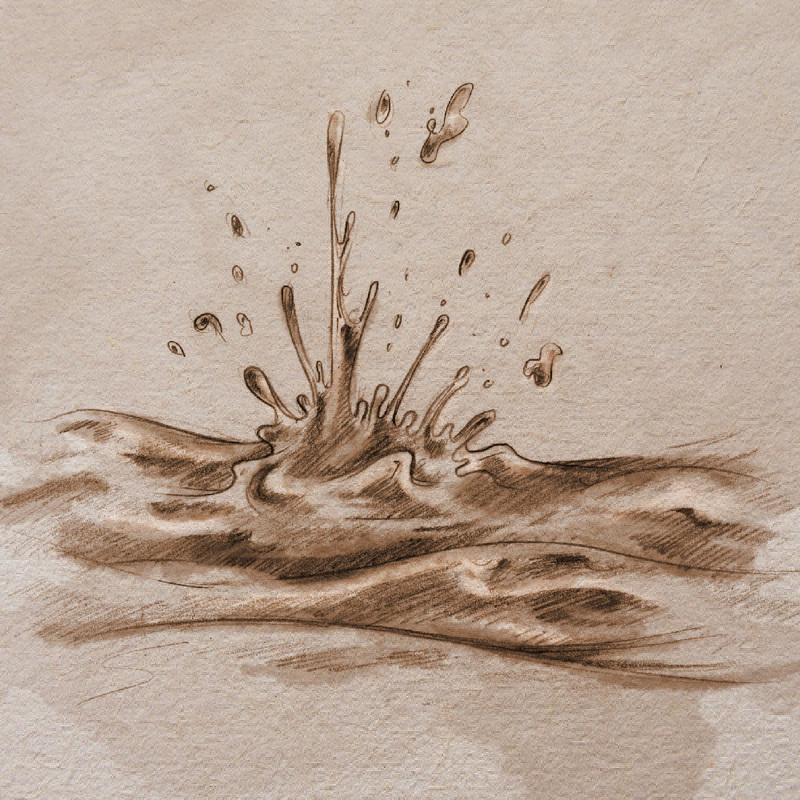 An oily, orange liquid found in streams, rivers, and lakes throughout Mehk, as vital to mehkans as water is to humans. 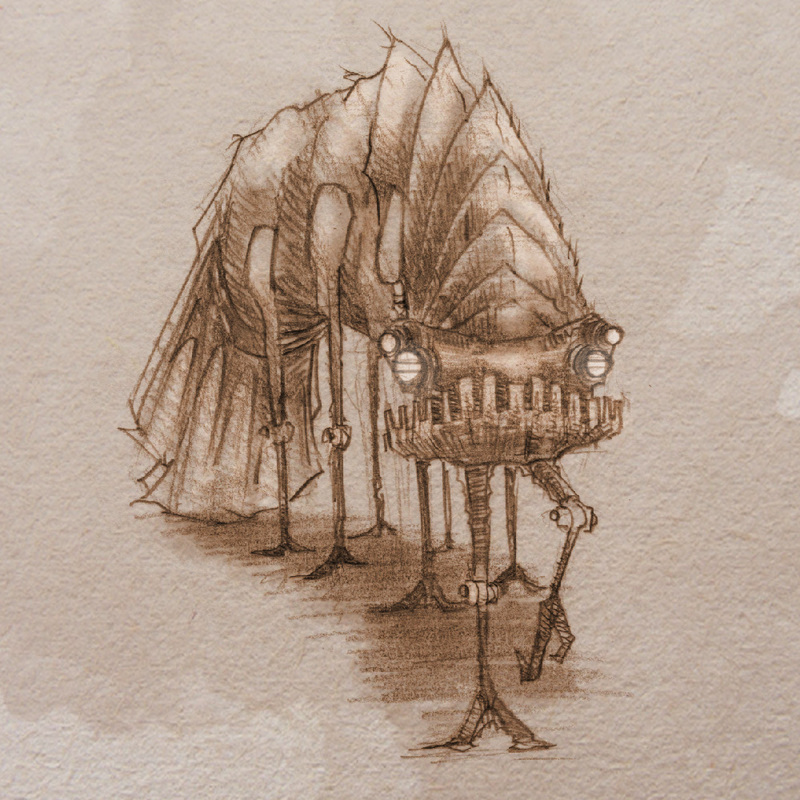 A small mehkan creature that flies by means of fringed propellers and travels in aggressive flocks. A term used in the Way to refer to those who have pursued their function to the fullest and have become enlightened. 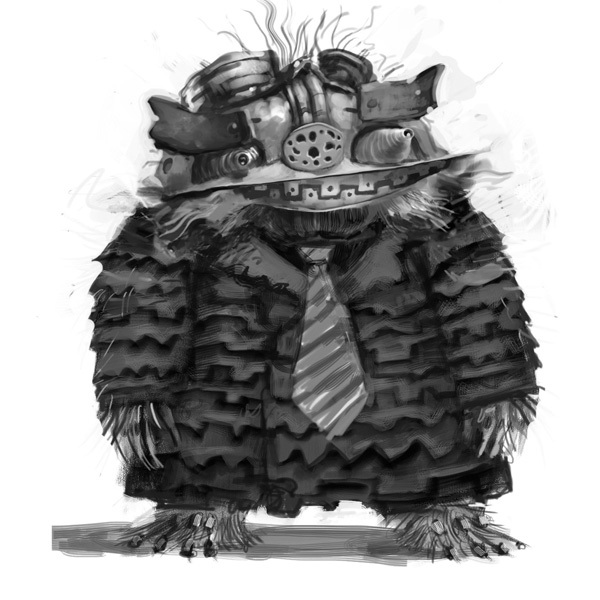 A gruff mehkan species covered with shaggy steel wool, distinguished by their oversized right arms and prehensile chain fingers. This species has earned a reputation of being grunts and thugs. A Foundry-made device used to convert vesper to water. 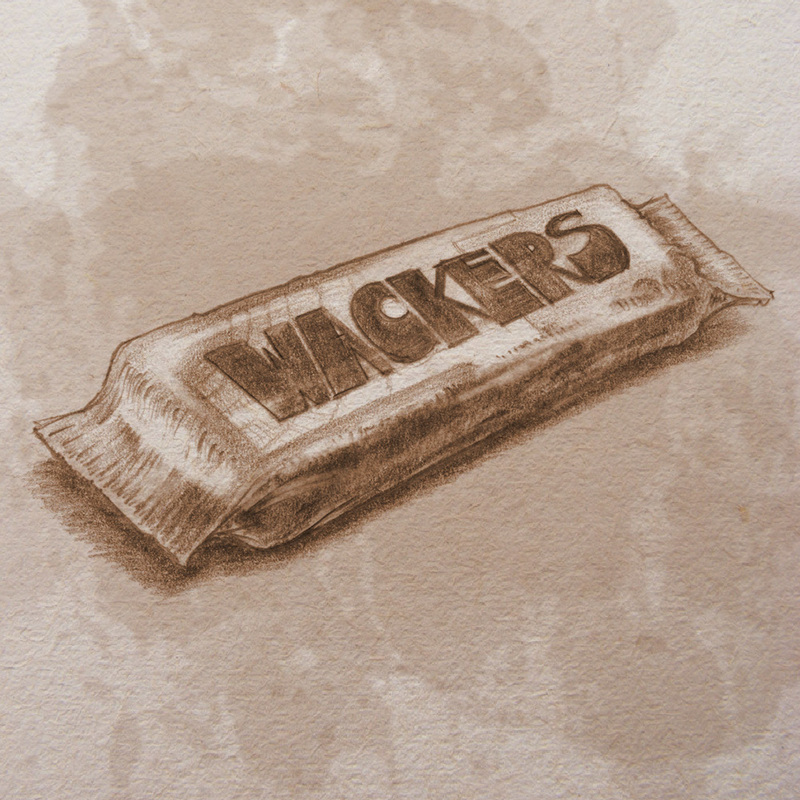 A popular brand of candy bar in Meridian, made with white chocolate and macadamia nuts. Foundry-made automatons with advanced intelligence that serve a variety of functions from menial labor to foot soldier, capable of complex multitasking. A foul smelling mehkan plant covered in tiny maggot-like growths. A gargantuan, oceanic mehkan creature with a dangerous array of tusks. 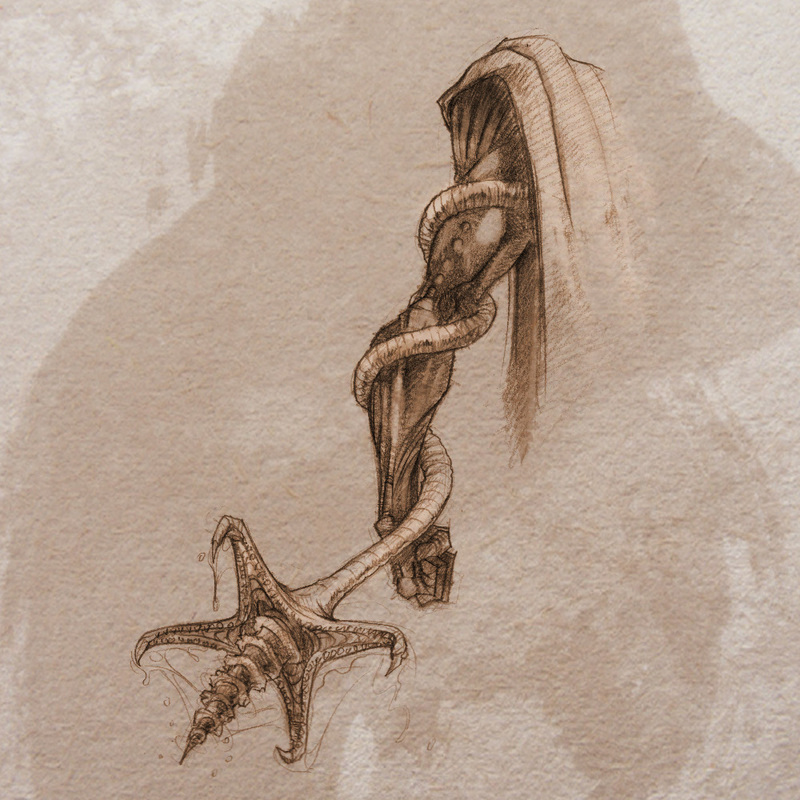 Because they have simple brains that can be mechanically modified to make the creatures docile, pirates and marauders often use wryls as a deadly means of conveyance. 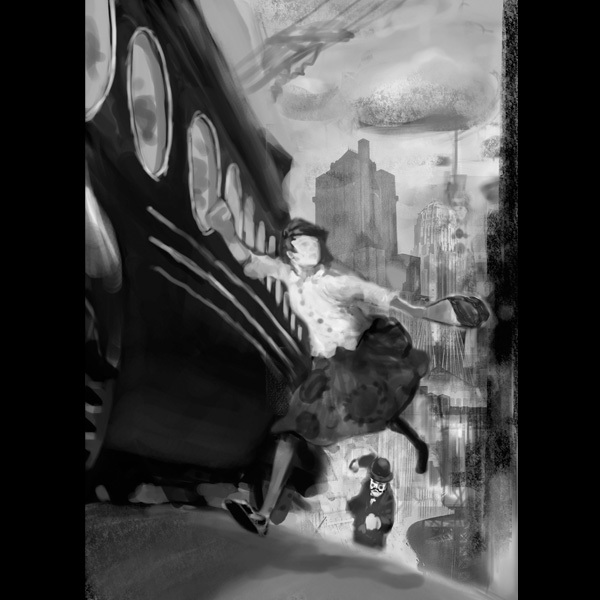 A common form of Foundry-made public transportation, recognizable by its bulbous shape and telltale, chirping whistle. 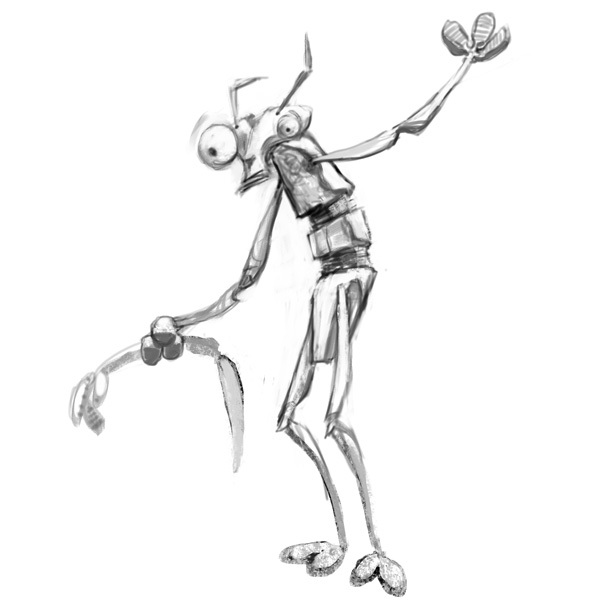 A spinning mehkan pest that proliferates near filth and decay.